Evidence Map of Tai Chi. The VA's Health Services Research & Development Service (HSR&D) Evidence-based Synthesis Program (ESP) was established to provide timely and accurate syntheses of targeted healthcare topics of particular importance to VA managers and policymakers, as they work to improve the health and healthcare of Veterans. The ESP disseminates these reports throughout VA. HSR&D provides funding for four ESP Centers and each Center has an active VA affiliation. 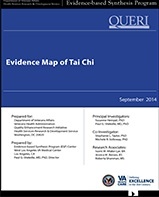 The ESP Centers generate evidence syntheses on important clinical practice topics, and these reports help develop clinical policies informed by evidence, the implementation of effective services to improve patient outcomes and to support VA clinical practice guidelines and performance measures, and set the direction for future research to address gaps in clinical knowledge.The Evidence Map of Tai Chi provides an overview of Tai Chi research and describes its volume and focus. It combines a systematic review of systematic reviews with a scoping review for the Veterans Administration priority areas pain, posttraumatic stress disorder, and fall prevention. The evidence map summarizes patient outcomes reported in reviews of studies in patients practicing Tai Chi for health-related indications. Statistically significant effects across existing studies were reported for hypertension, falls outside of institutions, cognitive performance, osteoarthritis, chronic obstructive pulmonary disease, pain, balance confidence, depression, and muscle strength. The Meditation Practices for Health Report was requested and funded by the National Center for Complementary and Integrative Medicine. It was created by the Agency for Healthcare Research and Quality, U.S. Department of Health and Human Services. Objective: To review and synthesize the state of research on a variety of meditation practices, including: the specific meditation practices examined; the research designs employed and the conditions and outcomes examined; the efficacy and effectiveness of different meditation practices for the three most studied conditions; the role of effect modifiers on outcomes; and the effects of meditation on physiological and neuropsychological outcomes. Meditation Programs for Psychological Stress and Well-Being (.PDF). Comparative Effectiveness Review Number 124. Meditation programs, in particular mindfulness programs, reduce multiple negative dimensions of psychological stress. Stronger study designs are needed to determine the effects of meditation programs in improving the positive dimensions of mental health as well as stress- related behavioral outcomes. NIH review finds nondrug approaches effective for treatment of common pain conditions. U.S. study reviews trial results on complementary health approaches for pain relief; aims to assist with pain management. Tai Chi is an effective nonpharmacologic therapy for low back pain. This review examines the evidence on the comparative benefits and harms of noninvasive treatments for low back pain as opposed to pharmacological therapies. 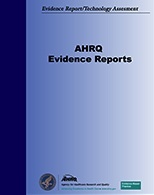 This is an AHRQ Comparative Effectiveness Review funded by the U.S. Department of Health & Human Services. Comparative effectiveness research is designed to inform health-care decisions by providing evidence on the effectiveness, benefits, and harms of different treatment options. The evidence is generated from research studies that compare drugs, medical devices, tests, surgeries, or ways to deliver health care. The Effective Health Care Program funds individual researchers, research centers, and academic organizations to work together with the Agency for Healthcare Research and Quality (AHRQ) to produce effectiveness and comparative effectiveness research for clinicians, consumers, and policymakers. Comparative effectiveness reviews draw on completed scientific studies to make head-to-head comparisons of different health care interventions. They outline the effectiveness — or benefits and harms — of treatment options. In 1996 Dr. Ken Sancier, founder of the Qigong Institute, wrote a paper describing the benefits of Qigong for hypertension. It's nice to see that NIH has finally concurred. Sancier's paper: The Anti-Aging Benefits of Qigong. The Administration on Aging provides grants to States and Territories based on their share of the population aged 60 and over for education and implementation activities that support healthy lifestyles and promote healthy behaviors. Evidence-based health promotion programs reduce the need for more costly medical interventions. A number of Tai Chi based programs have met varying degrees of criteria for inclusion in the AoA's list of effective evidence-based interventions for improving health and wellbeing or reducing disease, disability and/or injury among older adults; and being ready for translation, implementation and/or broad dissemination by community-based organizations using appropriately credentialed practitioners. Report: Tai Chi: Moving for Better Balance. NCCIH Clinical Digest: Mind and Body Approaches for Health Problems in Military Personnel and Veterans: What the Science Says. Tai Chi is sometimes referred to as “moving meditation”—practitioners move their bodies slowly, gently, and with awareness, while breathing deeply. Tai chi appears to be a safe practice. Scientific research on the health benefits of tai chi is ongoing, but several prior studies have focused on benefits in older adults, including tai chi's potential for preventing falls, and improving cardiovascular fitness, symptoms of pain associated with rheumatologic diseases (e.g., fibromyalgia, osteoarthritis, and rheumatoid arthritis), and overall well-being. A 2007 study on the immune response to varicella-zoster virus suggested that tai chi may enhance the immune system and improve overall well-being in older adults. Tai chi has also been studied for improving functional capacity in breast cancer patients and the quality of life in people with HIV infection. Mind and Body Practices for Fibromyalgia. Recent systematic reviews and randomized clinical trials provide encouraging evidence that practices such as tai chi, qi gong, yoga, massage therapy, acupuncture, and balneotherapy may help relieve some fibromyalgia symptoms. 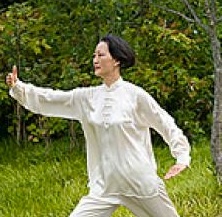 Tai Chi Has Similar or Greater Benefits Than Aerobic Exercise for Fibromyalgia, Study Shows. Bone Health and Osteoporosis: A Report of the Surgeon General Issued October 14, 2004. The Surgeon General recommends Tai Chi as a key part of a regular exercise program to improve balance, strength, and coordination to reduce the risk of falling. Experimental Research in the Application of Qigong (Deep Breathing) Exercises to Restore Intelligence for Mentally Handicapped Children. 2000 CIA report: "Practical results prove that Qigong intelligence recovery therapy can alter the state of low functional ability of the cerebral brain cells of mentally handicapped children. It only requires enough time for such Qigong intelligence restoration therapy, and the intelligence of feeble-minded children can be raised even to normal levels". Military Researchers Collaborate With University on Opioid Crisis. "We now have good evidence for the use of non-pharmacologic, non-opioid treatments, such as yoga, guided imagery, medical massage, chiropractic, acupuncture, Tai Chi, as well as a closely related movement therapy called Qigong, and music therapy," he said. "We have pretty good research to endorse their use." The Administration for Community Living's Administration on Aging provides grants to States and Territories based on their share of the population aged 60 and over for education and implementation activities that support healthy lifestyles and promote healthy behaviors. Evidence-based health promotion programs reduce the need for more costly medical interventions. U.S. Department of Veterans Affairs Recommends Mindfulness. The VA's Health Services Research & Development Service (HSR&D) Evidence-based Synthesis Program (ESP) was established to provide timely and accurate syntheses of targeted healthcare topics of particular importance to VA managers and policymakers, as they work to improve the health and healthcare of Veterans. The ESP disseminates these reports (i.e. the Evidence Maps) throughout VA. HSR&D provides funding for four ESP Centers and each Center has an active VA affiliation. The ESP Centers generate evidence syntheses on important clinical practice topics, and these reports help develop clinical policies informed by evidence, the implementation of effective services to improve patient outcomes and to support VA clinical practice guidelines and performance measures, and set the direction for future research to address gaps in clinical knowledge. 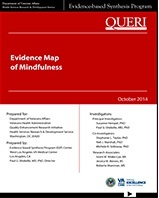 The Evidence Map of Mindfulness reports the most consistent effect for depression but published meta-analyses also indicated effects compared to passive control of MBSR on overall health, chronic illness, and psychological variables; MBCT for mental illness; and mindfulness interventions for somatization disorders. Limited evidence is also available for mindfulness interventions for pain, anxiety, and psychosis compared to passive control groups. More detail is provided for priority areas post-traumatic stress disorder, stress, depression, and wellness. The evidence map provides a broad overview (not detailed or definitive effectiveness evidence) over the existing research to help interpret the state of the evidence to inform policy and clinical decision making.